Not the shot I set out to capture, but one I rather like. It’s from another series on the Jurassic Coast shot with the assistance of the Hooded Accomplice. 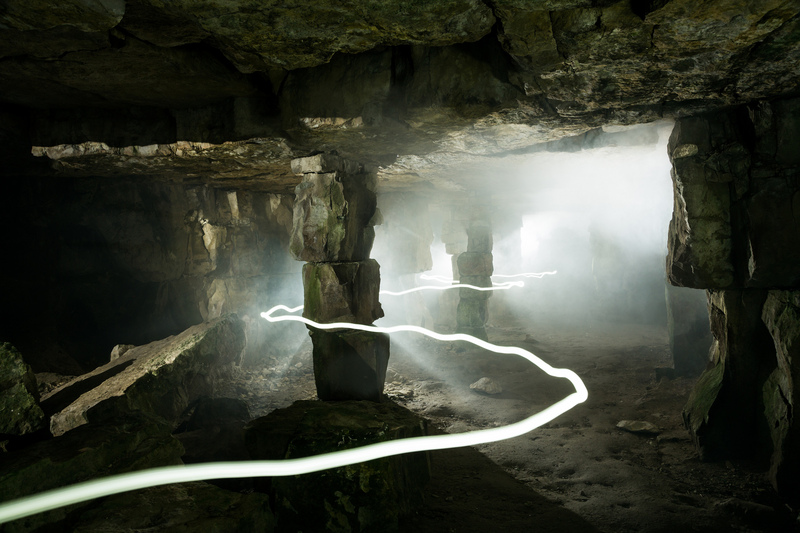 It’s largely SOOC, though you’ll note a tweak to the WB to bring out the eerie greens of the cave – and, with them, a hint at the “Mines of Moria” vibe that haunted the darker recesses of this abandoned quarry. Backlighting the pillars demanded no small measure of stumbling about in the darkness and smoke; an endeavour made more unsettling still by the presence of some extinguished candles left by some former visitor on the natural shelves and altars further back. Hopefully everyone is having a fantastic week. It’s the end of quarter here, so my postings are a little sporadic at present. More from Dorset, Slovenia, model shoots and Utah to come anon.